Suburban Air Freight Raytheon-Beech 1900C Fleet paints by Paco. 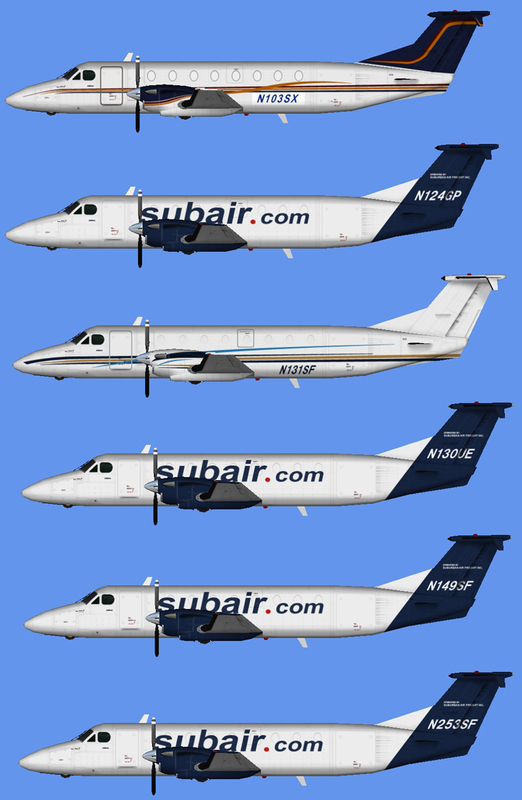 Suburban Air Freight Cessna Caravan 208B Fleet paints by Paco. 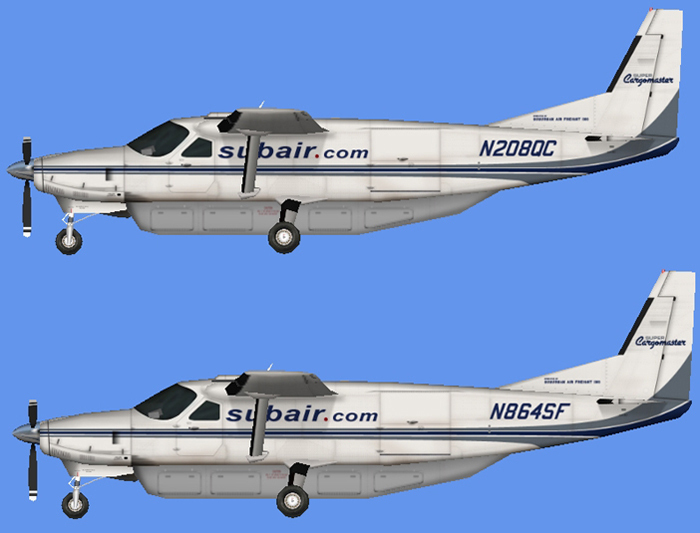 Suburban Air Freight Cessna C99 N128SF paint by Paco.